The Toro Co. has updated its line of Z Master Professional 6000 Series propane mowers by adding 27 hp Kohler Command Pro closed-loop electronic fuel injection (EFI) propane engines. The closed-loop EFI technology may help reduce fuel costs by up to 25% and require less maintenance when compared with similarly sized carburetor engines, the company said. 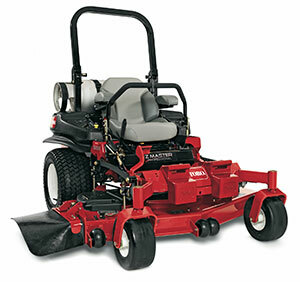 Toro Z Master Professional 6000 Series propane mowers come standard with Toro’s Turbo Force cutting deck in 60-in. and 72-in. widths. They feature 7-gauge steel, cast iron spindle housings and steel blades for “outstanding” results at higher ground speeds, according to the company. The propane mowers feature a sealed fuel system that eliminates evaporation emissions, fuel contamination, theft and spillage. Each unit has a single propane tank that will hold 43.5 lbs. of liquid propane mounted behind the seat to allow better deck and drive tire visibility. In addition, they are eligible for the Propane Education and Research Council’s (PERC) Propane Mower Incentive Program. Landscape contractors who buy a Toro propane mower this year can receive from PERC $1,000 to be applied toward the purchase price if they report to PERC the mower’s performance and usage for one mowing season.